Audi is trying to reconsider its plans concerning the upcoming of the new edition of Audi 7, after having the present model on sales in the US for two years now. While marching proudly in the US, in Europe, Audi A7 was available for European customers who seemed to enjoy the stylish hatchback being as twice as long as its fellow American. This is why Audi is ready to give the new A7 edition a fresh new look with some tweaked exterior styling and also with some great features from the 2015 Audi A8. The spy shots that we had been given revealed the A7 receiving some minor facelifts including a redesigned front fascia and new headlights. At the rear, the Audi A7 also enhances changes to its fascia, with new integrated outlets and taillights like the ones displayed on Lamborghini. As for the power under the hood, the A7 would sport the same updated engines and driver assist technologies that Audi is using at its current models. 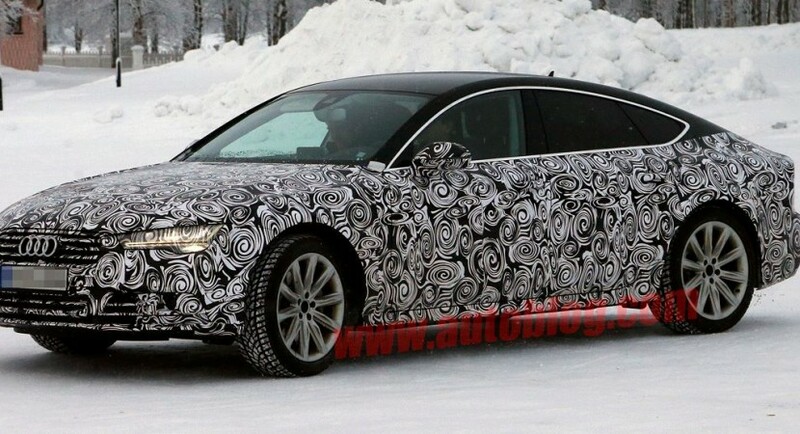 Apart from these interesting and noticeable features, we don’t know exactly when the fresh A7 will hit the market, but it is definitely 100% that we will be seeing the car at the upcoming 2014 Geneva Motor Show.